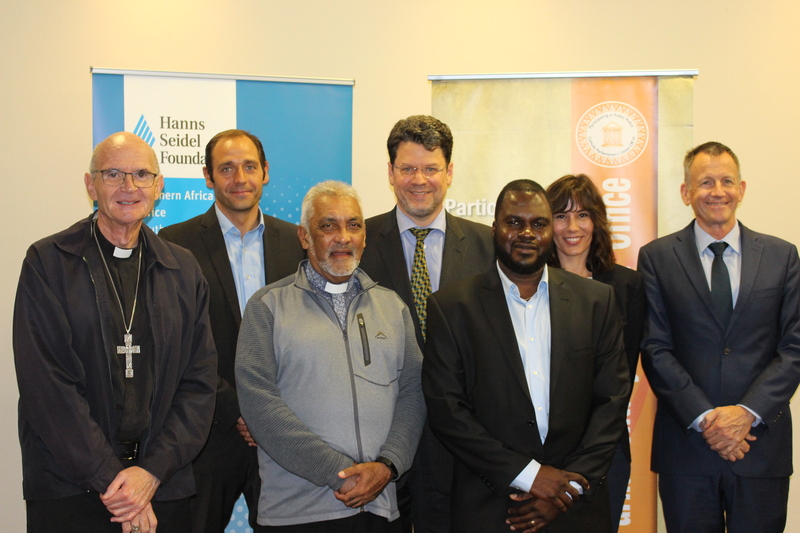 This roundtable discussion was held at the Sun Square Hotel, Gardens, Cape Town, on Friday 12 April. There were three speakers: Dr Shingai Mutizwa-Mangiza (Post-Doctoral Fellow, Political Science Department, University of the Western Cape); Dr Jakkie Cilliers (Head of African Futures and Innovation, Institute for Security Studies); and Mr Andries Nel (Deputy Minister of Co-operative Governance and Traditional Affairs). 52 people attended. Dr Mutizwa-Mangiza offered two possible characterisations of the election: it could be seen as a ‘watershed’ or as ‘water under the bridge’. A watershed in the sense that it could mark a distinct break with the past, and the beginning of a new phase in our politics, with the ANC no longer enjoying outright majority. This possibility was indicated by an Afrobarometer poll which predicted that the ANC’s share of the vote could fall as low as 48%. On the other hand, if other, more recent polls were correct, it could be ‘water under the bridge’, simply more of the same, with the ANC enjoying a clear majority, even if it was slightly less than its 2014 result. Dr Cilliers noted that there were two battles raging. On the one hand, the rivalry between the different parties highlighted during the election campaign. On the other, the fight between the two main factions in the ANC, which he characterised as the ‘traditionalists’ and the ‘reformers’. Another key question was whether the popularity of Cyril Ramaphosa would pull the ANC up from its relatively low share of the vote in the 2016 municipal elections, or whether the unpopularity of the ANC would pull Ramaphosa down. Dr Cilliers predicted that the ANC would do slightly worse than it did in the 2014 general election, but better than the 52% it got in 2016 – around 58%. The DA would probably stick at 23% while the EFF would grow from 6.3% to 10%. Mr Nel spoke about the logistical and administrative aspects of the election. A high-level Cabinet Committee meets regularly with the IEC to ensure that the latter receives adequate support from the police. Defence force, Department of Home Affairs, and other relevant government structures. There was also a ‘cabinet rapid response team’ that would try to deal with any last-minute protests. Especially those that might affect voting on the day of the election. There was some concern about the number of service –delivery protests at the moment , and also about the trend towards a kind of boycott, in terms of which some communities adopted the view that, if their grievances were not addressed, no-one would be allowed to vote. This approach was not only unconstitutional, it was also bad for democracy. Even though such ‘shutdowns’ only affected 1% or less of the voting stations, this was still too many. On a positive note, Mr Nel mentioned that unlike previous elections, there were no reports this time about ‘no-go areas’ where certain parties were prevented from campaigning. It appeared that all parties could campaign freely and get their message across to the voters.